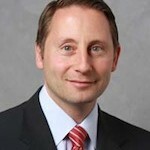 The following blog post was written by a special guest of the Westchester Library System, Westchester County Executive, Robert P. Astorino. “The United States has been blessed with many great presidents. They have inspired generations of people around the world. Some were war heroes, some were great legal minds and some were humanitarians. But the president who personally touched me and who holds a special place in my heart is a former actor nicknamed “The Gipper” (from a role he once played in a movie). I am, of course, referring to our nation’s 40th President, Ronald Wilson Reagan. Reagan was president while I was growing up in Mount Pleasant, going to Westlake High School and working on my degree at Fordham University. His commanding presence on television had an indelible impact on me during these formative years. His likeable yet decisive demeanor impressed me, reassured me and occasionally comforted me. Professionally, Reagan got his start announcing Chicago Cubs baseball games on the radio. As a former broadcaster myself, I understand what a wonderful training ground radio can be for learning how to talk to people. There’s an intimacy to radio. No doubt Reagan’s years behind a microphone and in front of studio cameras prepared him to later connect with an audience of voters. Reagan’s style was consistent. Whether speaking with Members of Congress, Prime Minister Margaret Thatcher or General Secretary Mikhail Gorbachev, Reagan was respectful but authoritative. In other words, he was the ultimate definition of a leader. 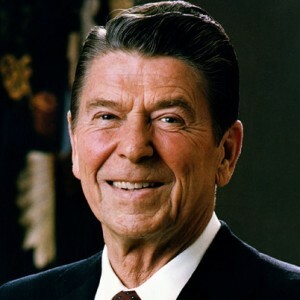 Reagan was able to use modern media – televised press conferences, radio appearances and live addresses from the Oval Office – to persuade, not to manipulate. Reagan was the real deal. What you saw was what you got. Like others, I responded to someone who I thought I could trust. That trust is why people so overwhelmingly elected and re-elected him. But Reagan had a backbone as well as a funny bone. He had the guts to go to Germany, stand at the Brandenburg Gate near the Berlin Wall and challenge Gorbachev to “open this gate” and “tear down this wall.” Two years later, the Berlin Wall was torn down and the Cold War ended, leading to the Soviet Union’s collapse. In 1981, when more than 11,000 federal air traffic controllers violated a federal law and went on strike, Reagan fired them. He put supervisors and military controllers in their place until new ones could be hired. Reagan always knew what to say, when to say it and how to say it. When people looked into his eyes, they knew that he meant business. Yet, he always seemed to have a smile on his face. It’s hard to find a photo of him where he doesn’t have that benevolent gleam in his eye. He was the kind of man who would be comfortable slapping you on the back, but not stabbing you in it. Many people mark President’s Day with a long weekend getaway, enjoying discounts at their favorite shopping centers, and taking their children on a fun, ski vacation. This year, we decided to mark President’s Day on our blog by honoring some of our past Presidents. Throughout the week, we will feature daily blog posts from Westchester County Executive Robert P. Astorino, local historian and author Dr. Richard Borkow, Assemblywoman Sandy Galef, 95th Assembly District, Judith A. Myers, County Legislator, 7th District, Westchester County Board of Legislators, and Kenneth W. Jenkins, Chairman of the Board of Westchester County Board of Legislators. Each day, one of these distinguished guest bloggers will highlight the President that most impacted their lives and careers. 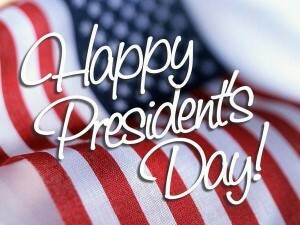 Happy Reading, and Happy President’s Day!